If you’ve opened up this post looking for some nominal amount of Vision Therapy wisdom, I’ll kindly save you the trouble in the first sentence by alerting that is not what lies ahead. While those ideas are always fun to share, it’s just not where my heart is this morning. Instead, my sentimental side has kicked in; probably due to the location in which I awoke. 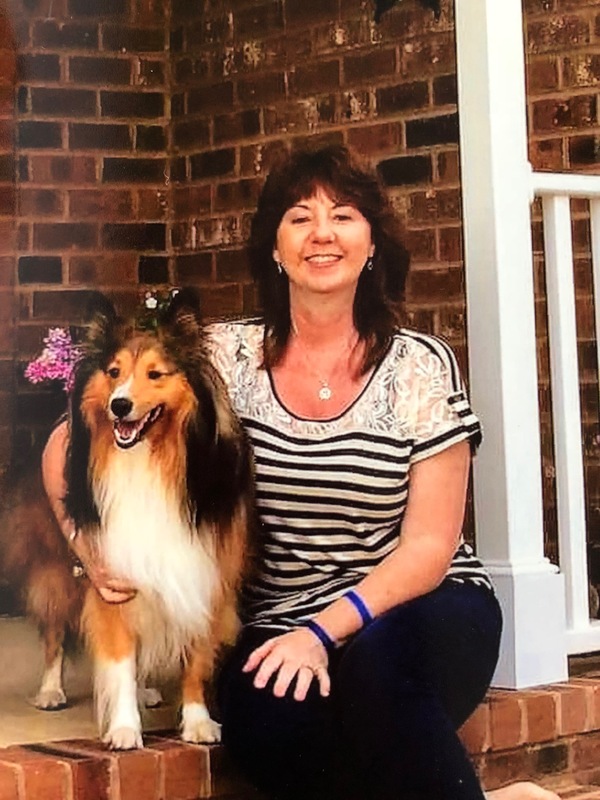 As most have heard by now, Vision Therapist and dear friend to Developmental Optometry, Robin Vreeland, succumbed to cancer earlier this week. Robin fought the good fight and through it all she remained positive and upbeat. She never complained about the pain she was in or the hand she was dealt, and seemed determined to let those around her know no matter what outcome lay ahead, it was going to be alright. Yesterday afternoon I made the seven hour drive to the town of Myrtle Beach where Robin made her home in anticipation of blowing her a kiss goodbye during her service. Through Robin’s illness, her family has welcomed her entire VT posse with open arms, and this time was no different. When I arrived in Myrtle Beach last night, it was as though we were picking up right where with left off, with one notable exception. Spending time with Robin’s family confirms how much she loved, and was loved, by everyone she knew. Even in her absence, they laugh with her as though she were still sitting beside them, if for no other reason, because that’s how she would have wanted it to be. It seems strange to be in Robin’s homeland after her passing, particularly because I know she moved on from this place, this world, just a few short days ago. 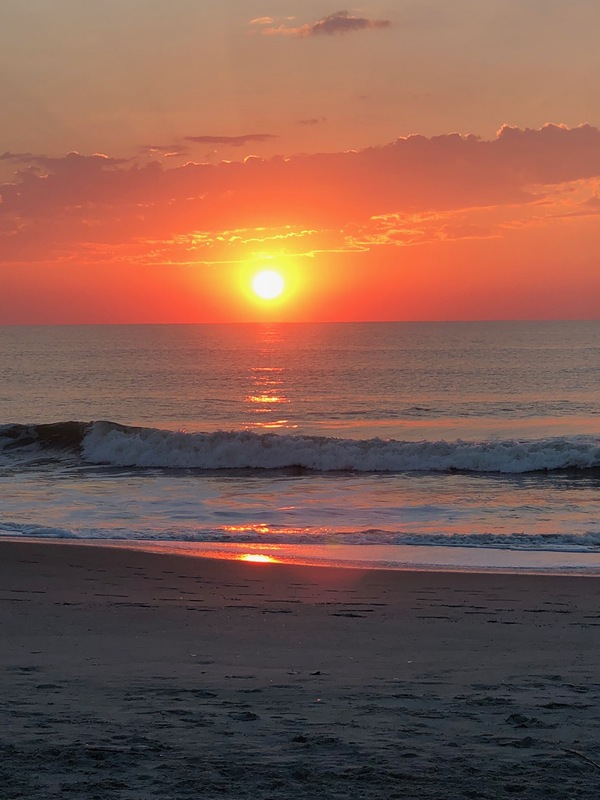 I spent a short time this morning walking on the beach and witnessed a phenomenal sunrise, and in doing so became keenly aware of why she loved it here. I’ve found myself wandering the town wondering if Robin had ever traveled the same path or what her opinion would have been on the many sights and sounds of this lazy beach town. Meanwhile, the finality of it all continues to seep in. Back in May of 2014, Robin graciously agreed to be interviewed for my Sit Down series; a post I revisited and re-read in preparation for this morning’s session. It’s pretty clear to me, as it is probably to most, the positive view she took on life was pretty amazing. Tomorrow, at her family’s request, I will stand up and share some warm and celebratory thoughts on my my friendship with Robin during her service. Although none of my other compadres were able to make the trip, they have all reached out to share their thoughts and they will be with me in spirit as my sharing takes place. When I was going though some personal challenges following my divorce in 2010, Robin was always there to support and encourage, a favor I am returning to her family this weekend in Myrtle Beach. I’ve written many times how blessed I feel to be a part of the Vision Therapy world, for collectively, this community has given me far more than I could ever offer in return. Enjoying Robin’s friendship over the last 15 years is but one of those gifts, and finding a way to express myself through this blog is another. While, as a community, we may not always agree on the best practices for achieving success or even the most efficacious manner for treating a patient, there is one aspect no one can deny; friendship. Some of my best friends have come into my life through Vision Therapy, both as patients and professionals. Tomorrow, I will be blowing one of those friends a kiss goodbye, but the friendship and the memories will live on in my heart forever. Posted on October 6, 2018, in From My Perspective.... Bookmark the permalink. 1 Comment. This is extremely touching, I am sorry for your loss.